Our Marlowe fabric makes this T-shirt different from any other. Once you wear it, you understand why people are so enthusiastic about it. This is a highly technical fabric which is non-pill and retains its shape and colour excellently after washing. In fact, you can just hang it up to dry on a hanger and it doesn't lose its shape. Classic crew neck, short sleeve shape is cut for comfort and style. 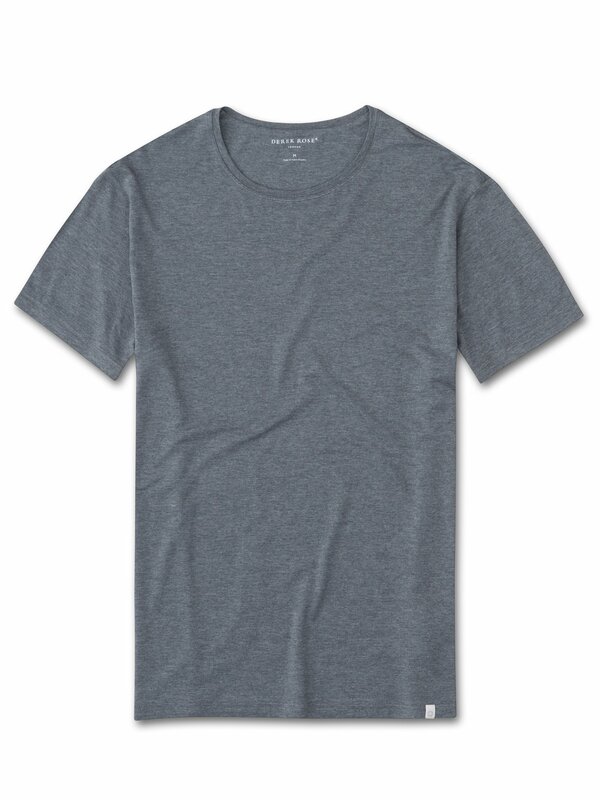 The Marlowe men's T-shirt is a wardrobe essential: versatile and classic. In a sophisticated shade of grey marl, its neutral shade makes it ideal for mixing and matching. Developed using the same innovative fabric technologies as our popular Basel range, Marlowe has to be touched to be believed. Extraordinarily soft, powerfully durable and altogether wonderful to wear, it's made from a blend of 95% micromodal (made from sustainably forested beech trees) and 5% elastane — the result of countless tests and sampling exercises by our fabric technicians. Suitable for sleeping, lounging or outdoor layering, there's not much this T-shirt can't do. Because of the thermostatic qualities of the fabric (the weave responds to ambient temperature to offer more insulation when it's cooler), it's also great for sports. And a long-haul flight is a lot more bearable if you're wearing super-soft loungewear.